Kobo released a new update for their iOS app yesterday and they've added a bunch of improvements. BTW, yesterday was the first time that I really looked at Reading Life. I don't care for the social media fooferaw, but I do like that interface. One of the things it's doing is randomly suggesting titles from my collection. I love that, and I wish more reading apps would copy it. There are times where I just want to grab a book and read, and this suggestion feature will help. 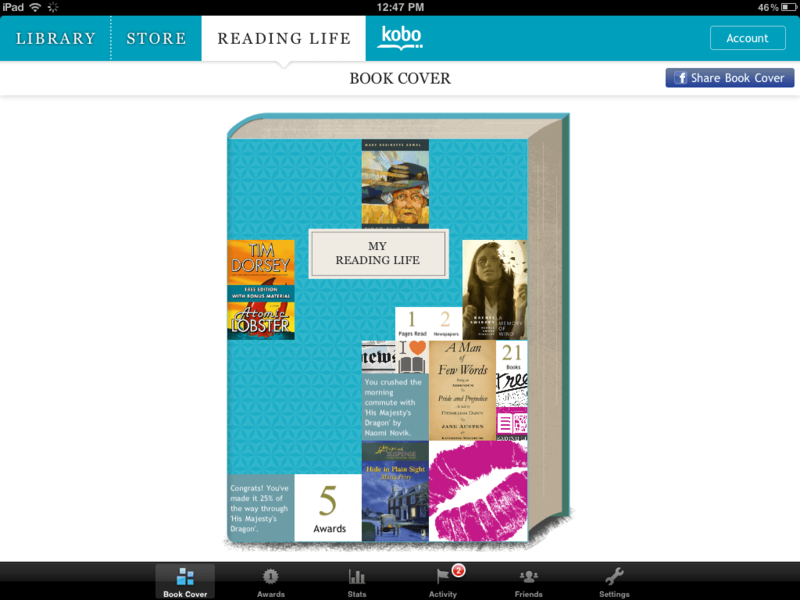 The iOS app has a number of improvements, including: new Reading Life features, subtle changes to the library navigation, and Kobo have also integrated the Internet Archive into their ebookstore. I actually noticed the new content from the IA a couple days ago. Several Dutch ebooks had been drawn from there. Blog Update: Icons, Reading options, Comment section, Oh My!